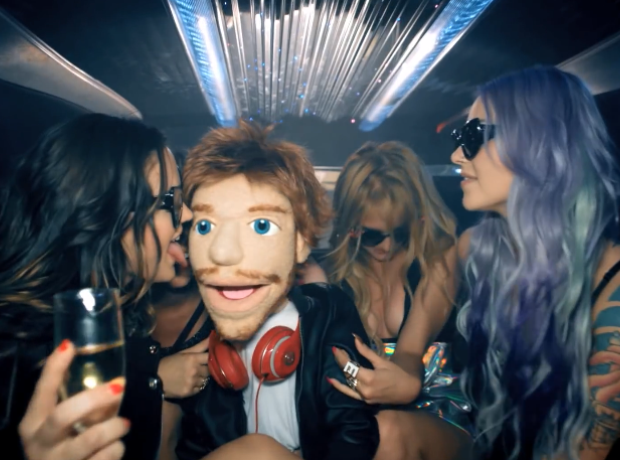 Puppets, Hummer limousines, Pharrell Williams and karaoke. Nope we didn't just describe that crazy dream you had last night, it's our third favourite Ed Sheeran music video 'Sing! '.